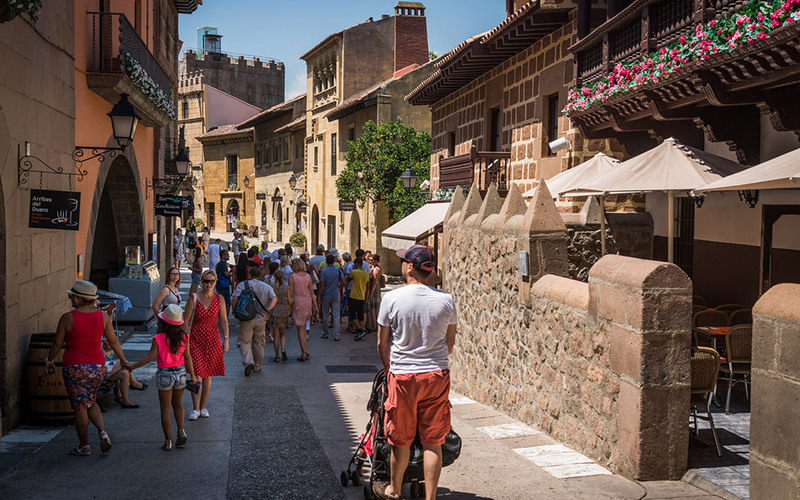 Poble Espanyol in Barcelona, a nice and enriching cultural experience. Located within walking distance from the fountain of Montjuïc, the Poble Espanyol is one of the most attractive sites in Barcelona for its unique setting, featuring: contemporary art, architecture, cuisine, crafts and trade in a pleasant environment with no traffic, suitable for all family members. Built in 1929 for the International Expo, it has since become a icon of Barcelona. Mondays, Tuesdays, Wednesdays and Thursdays from 12th January to 8th February will remain open from 9am to 8pm (ticket office, one hour before).